RIVERSIDE, CA — In a proposal city officials say will produce long-planned projects and make up for previously deferred upgrades, the Riverside ( Calif. ) City Council is set to vote this week on the initial plans for a $780 million citywide proposal for municipal facilities and infrastructure. The plan contains essential cultural upgrades, including a retrofitted Metropolitan Museum , expanded Convention Center, rehabilitated Municipal Auditorium and a completely refurbished Fox Theater —– which is probably the most forward-looking aspect of the plan. Not only will it restore one of the city’s historical gems, it will finally give Riverside a first-class performance arts facility. The city, which recently purchased the theater following long-stalled renovation plans by its previous owner, plans to upgrade and renovate the theater into a performing arts center. 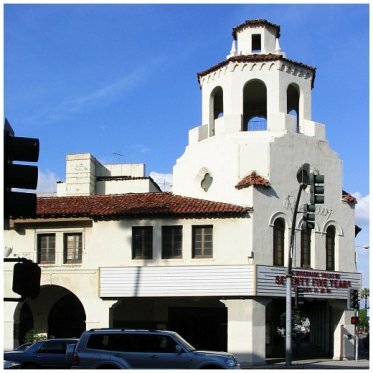 The renovation plans call for keeping many of the historical elements and architectural details of the theater, which was the location for the original public “preview” screening for ‘Gone With the Wind’ in 1939. For more about this, visit The Press-Enterprise. Seems to me this is the Riverside Theater which ran the feature film,“The Desert Fox,” starring Jases Mason for 300 Hundred years, as this town is next to Camp Pendleton the Marine Base. Anyway I enjoyed seeing the rather tattered copy of that film while I was stationed there awaiting reassignment to Oakinawa in the early 1960’s.